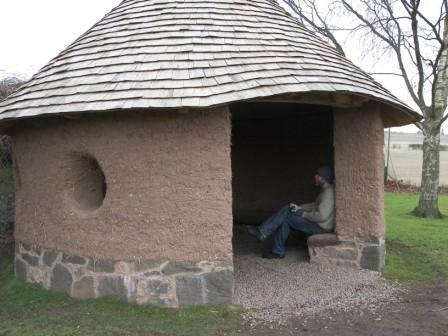 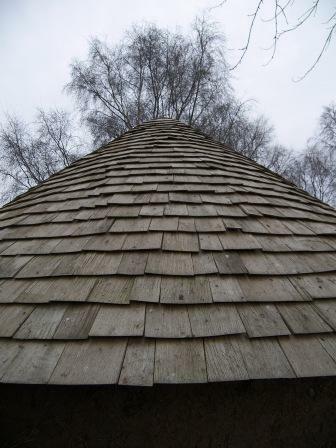 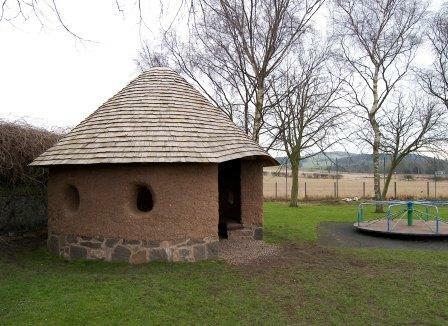 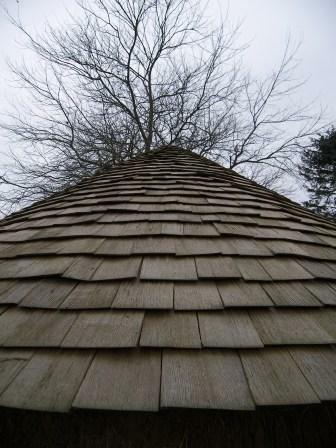 LETHAM SHELTER SHINGLING : On this project I was acting more as an instructor working with a couple of the architects from the ARC Architects practice, to shingle a conical roof on a circular shelter of their own design for a play area in Letham. 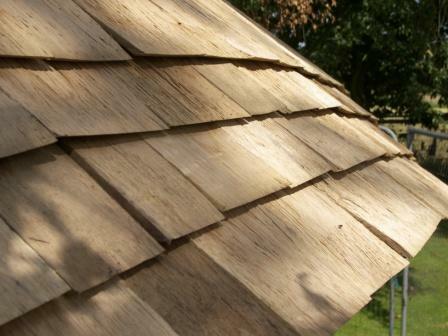 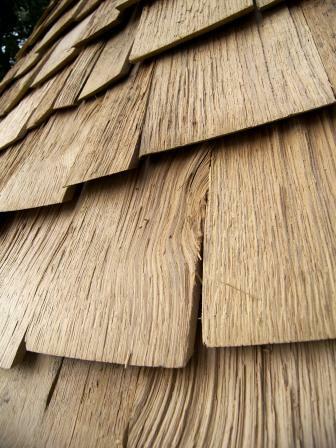 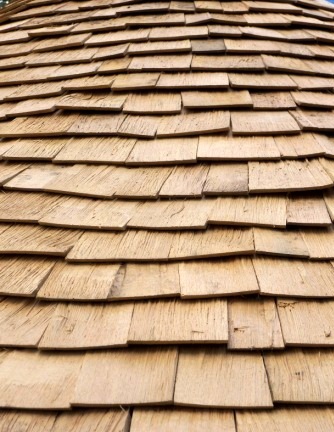 The shingles are oak. 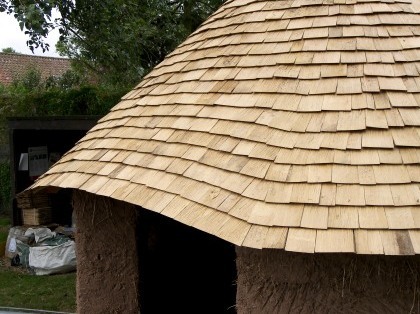 The walls are of cob by Becky Little of Rebearth (formerly Little and Davie).